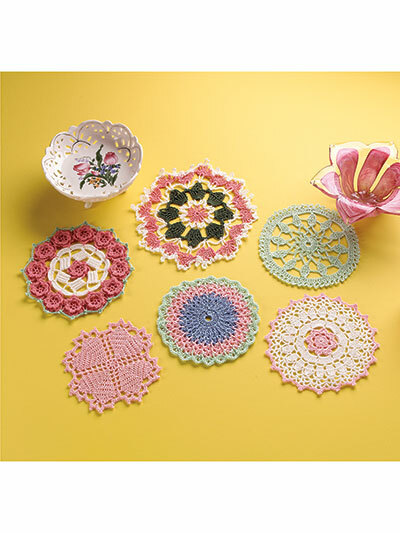 An incredible collection of 26 of the best miniature doilies ever produced by Annie's! Show off your stitching with these beauties. Make great gifts you can slip into cards. 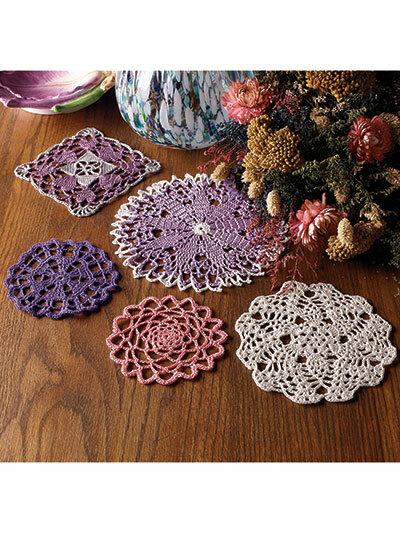 Use them as coasters, package trims, sachets, party favors. Use them as elegant liners between the plates of your finest china tea service. A rainbow of colors. All are made using size 10 thread. Sizes range from 4"across to 7 1/2" across. I love thread crochet and consider myself a crochet expert but the Shamrock pattern on page 13 is a wreck. I had to give up on the last row and make my own just to finish it. I also wish that each pattern started on it own page. 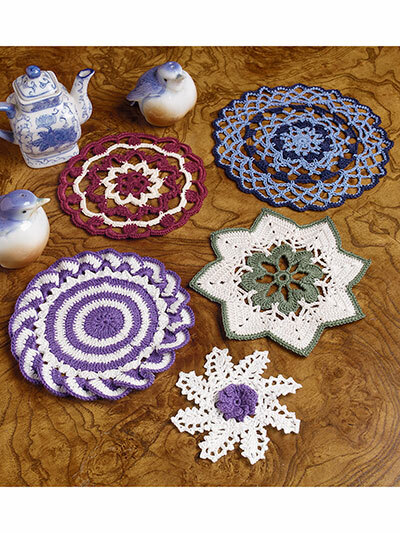 Sometimes I just don't want to crochet a large doily! 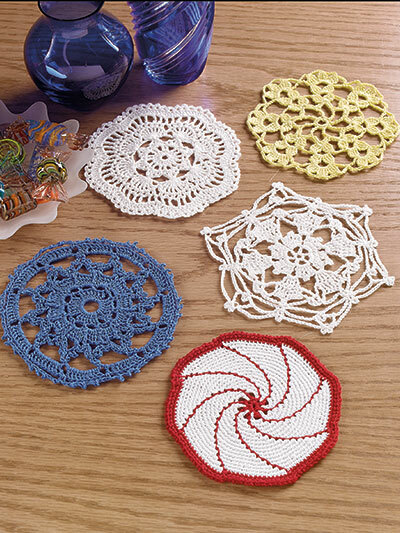 These could be coaster patterns or great to design a framed collage of mini-doilies. 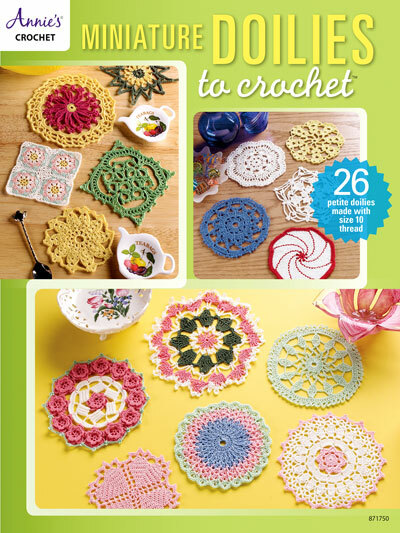 Also very good for transitioning from yarn crochet to learning to adapt to thread crochet.